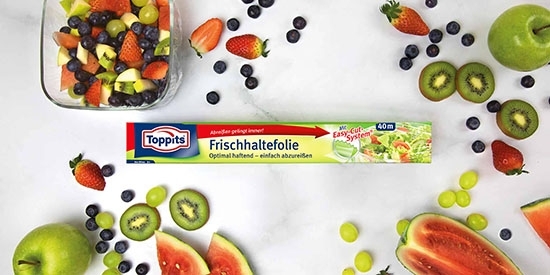 Mit der Toppits® Frischhaltefolie zum Profikoch werden. There's nothing better than a long, relaxed brunch at the weekend. And it's even more delightful when you invite your friends. Of course you want to offer them something special, e.g. poached eggs. It's good to know that you don't have to be a Michelin star chef for this, you just need Toppits® cling film and a good trick. Simply line a small cup with our cling film. Then add a fresh egg, gather the cling film into a bag and knot it. 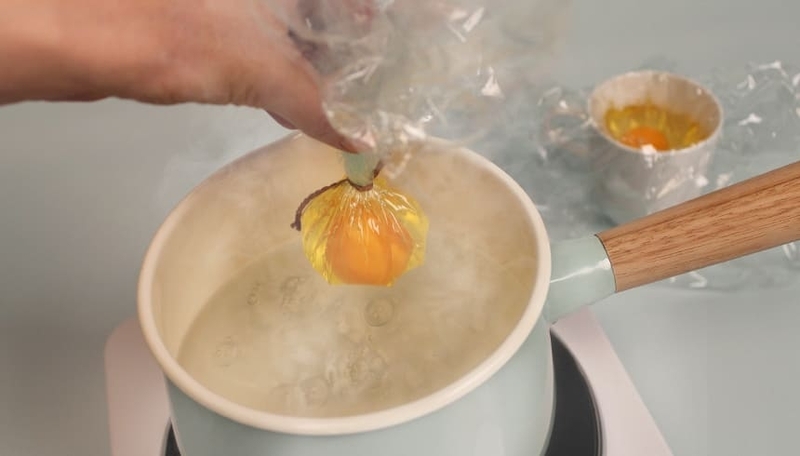 The bag should simmer in boiling water for three to five minutes, depending on whether you prefer a firmer or softer egg. When the egg timer rings, use a spoon or a ladle to fish the bag out of the pot and carefully open and remove the foil. Ready! Now just season to taste and the prize for the best brunch goes to you.